As personal cameras became popular and mass produced at the beginning of the twentieth century, individuals found a new hobby in photography. Pictures allowed for people to capture memories and then store them to be looked back upon later in their lives. The use of personal cameras crossed race, gender, age, and social classes and became a cultural phenomenon enjoyed by all. As the world exploded into combat however, photography found a place for itself at the front lines. From soldiers on the ground attempting to record their experiences, to army official photographers trying to capture patriotic and hopeful moments, and all the way overhead to airplanes that took aerial images to assists in ground attacks and air raids, photography played an important role in World War I. For soldiers, photography introduced a new mode of collecting memories; a picture is able to recall exactly what the photographer wanted to remember. Pictures, by default, become a record of the photographer’s personal history, rich with both biographical and motivational factors. 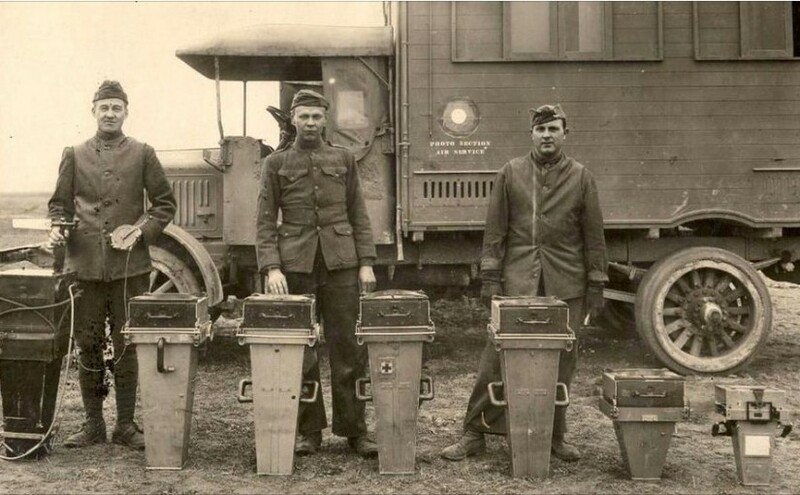 It is of no surprise then, that as soldiers shipped off to fight in World War I, they carried with them their personal cameras in order to record their experiences. 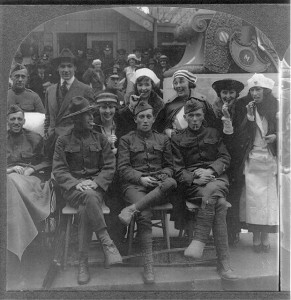 Soldiers snapped pictures whenever possible, despite the disapproval of their senior ranking officers, in order to return with a collection of memories. The photos offered proof of the struggles they faced, atrocities they witnessed, relationships they built, and people they helped. The commercial sector quickly caught on to the appeal of photographic souvenirs as well, and began producing postcards, usually showing war-damaged towns or cheerful soldiers as uncontroversial war mementos. 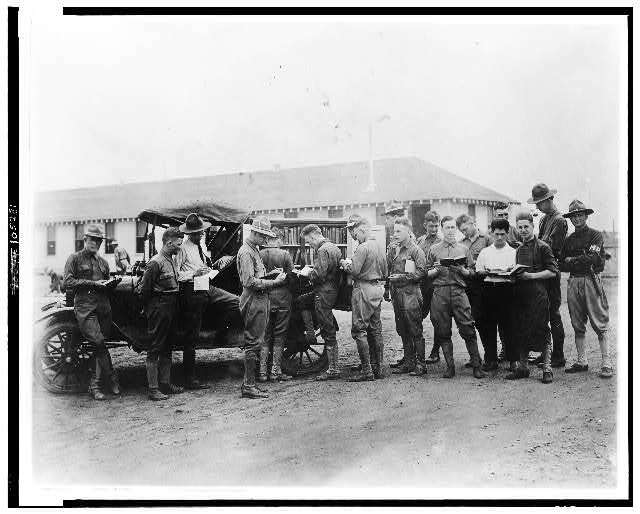 Examples of these postcards can been seen, along with personal photographs, in each of the World War I scrapbooks that have been digitized and included in Falvey Memorial Library’s Special Collections catalog. By 1915, however, officials placed a ban on combat photography. The demands of the expanding press industry placed pressure on the military to provide coverage of the war, however, and so the War Propaganda Office created a department to handle wartime photography. The photographs that the official cameramen were allowed to take were tightly controlled. Officials forbade photos that would lower morale at home, therefore banning photos that showed the dead or dying or their troops suffering a defeat. The English and the French went as far as only allowing their official photographers to take pictures of the aftermath of battles, without showing any bodies of the dead or wounded. Demands placed on the official photographers to only capture photos that were suitable for the general public, added to the difficulty of maneuvering around a warzone, forced some to resort to staging photographs. The photographs taken by the official war photographers became tools of propaganda, offering civilians at home a view at the war, while protecting them from the horrors of death. The propaganda photographs offered a censored memory of the war for those who did not actually have to face the dangers of the front line. 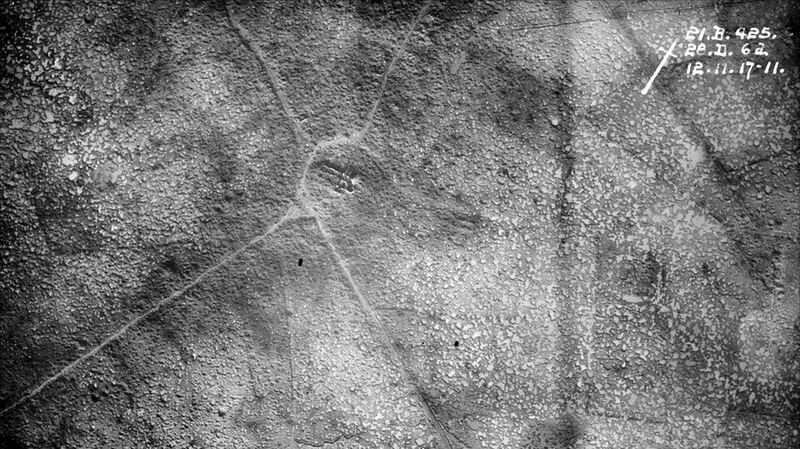 Although aerial photography was first practiced in 1858, it was not until World War I that it became heavily utilized for scientific and military recording. Aerial photography was useful for scouting opposing troops, previewing terrain and conditions for ground troops, mapping air strikes, and checking the results of bomb drops. 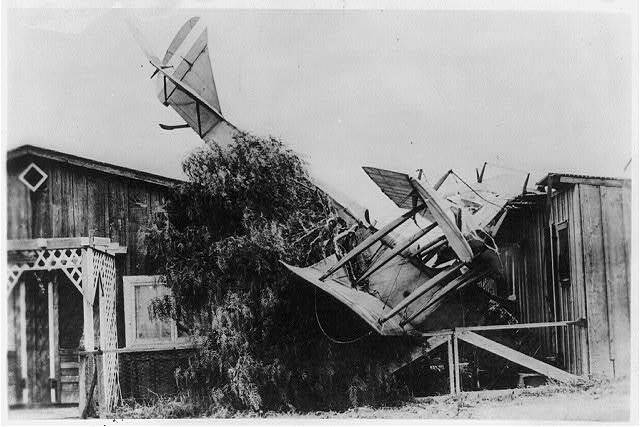 It became such a crucial tool for military forces that the Royal Flying Corps established its School of Aerial Photography at Farnborough, Hampshire in September 1916. 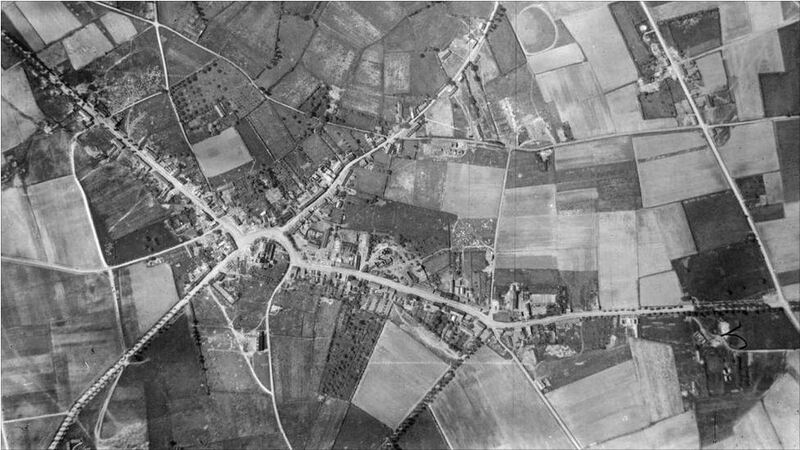 Within a year, at the height of the British Flanders Offensive, photographic units of the Royal Flying Corps were able to produce nearly 15,000 aerial photographs in a single month. Aerial photography was a useful tool both during and after the war. It not only provided information for troops while in combat, but it also provides a visual memory of just how badly European cities were impacted by World War I. The daily use of personal cameras to record life’s moments and memories has yet to end. Today, people organize their photographed memories in digital collections on websites and apps like Tumblr and Instagram in the same way that soldiers returning from war would organize their memories into scrapbooks. No one could have foreseen the effects that the explosion of the personal camera would have on the world. 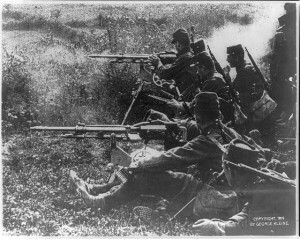 The timing of it however allowed for World War I to be the first time that photography would be used to bring home memories from battle. Whether they be from soldiers on the ground, army official photographers or aerial images, it cannot be denied that photography played an important role in World War I.
Orvell, Miles. American Photography. Oxford History of Art. Oxford: Oxford University Press, 2003. Sandler, Martin W. Photography: An Illustrated History. Oxford Illustrated Histories. Oxford: Oxford University Press, 2002. Holborn, Mark and Hilary Roberts. The Great War: A Photographic Narrative. New York: Alfred A. Knopf , 2013. Langford, William. The Great War Illustrated 1914. Barnsley, South Yorkshire: Pen & Sword Military, 2013. Miles Orvell, American Photography, Oxford History of Art (Oxford: Oxford University Press, 2003), 14. Caitlin Patrick, “The Great War: Photography On the Western Front,” UCD Clinton Institute for American Studies: Photography and International Conflict, 2007, accessed November 9, 2015, http://www.ucd.ie/photoconflict/histories/wwiphotography/. Martin W. Sandler, Photography: An Illustrated History, Oxford Illustrated Histories (Oxford: Oxford University Press, 2002), 110. Miles Orvell, American Photography, Oxford History of Art (Oxford: Oxford University Press, 2003), 57. Roberts, Hillary. “Photography.” International Encyclopedia of the First World War. Accessed November 9, 2015. http://encyclopedia.1914-1918-online.net/article/photography. Miles Orvell, American Photography, Oxford History of Art (Oxford: Oxford University Press, 2003), 79.